Home Tags Articles tagged with "Copa Center"
The Copa Center and Spoon’s diner were demolished Tuesday morning as Arizona Department of Transportation started to clear land it acquired for an overpass across the railroad tracks. 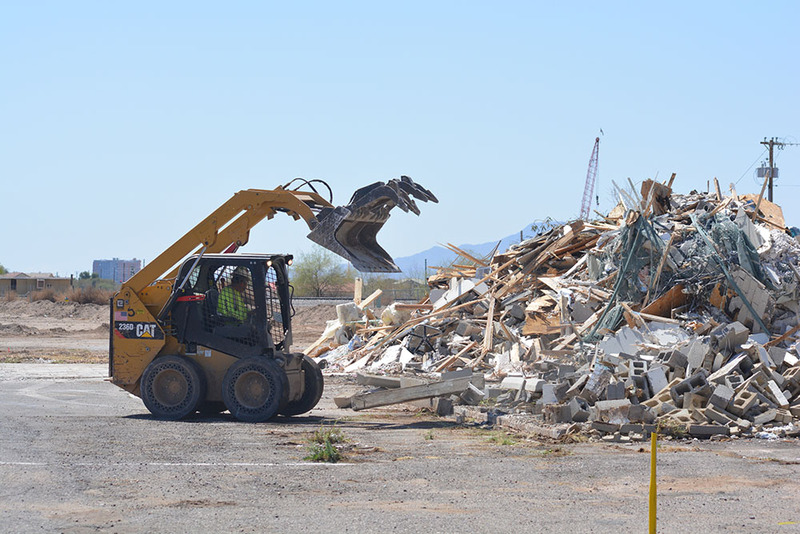 There are about three weeks of demolitions in store as well as utility work. 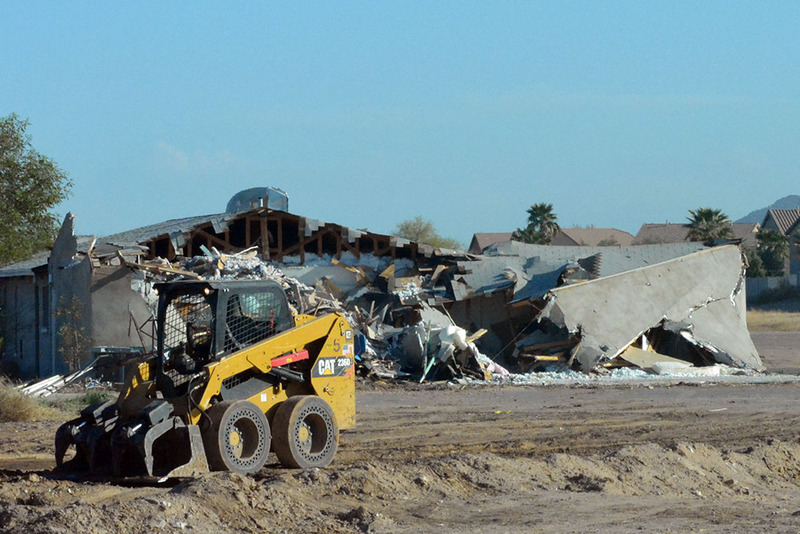 The Copa Center, originally a church that has served ostensibly as a senior center in Maricopa, will close April 1. 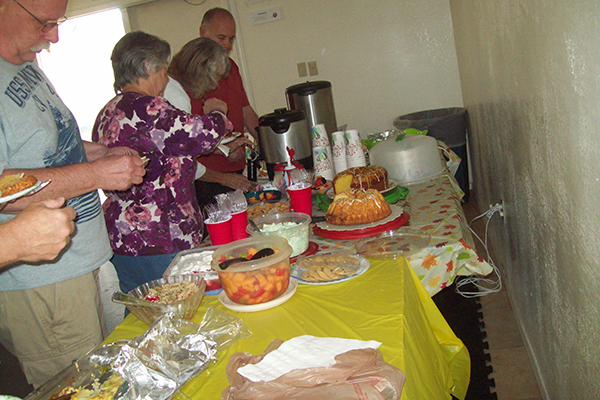 Maricopa seniors had their last potluck at a gathering Thursday to “remember the good times we had,” according to senior advocate Joan Koczor. The space was officially an adult drop-in but primarily used by residents age 55 and up for social gatherings, recreation and meetings. 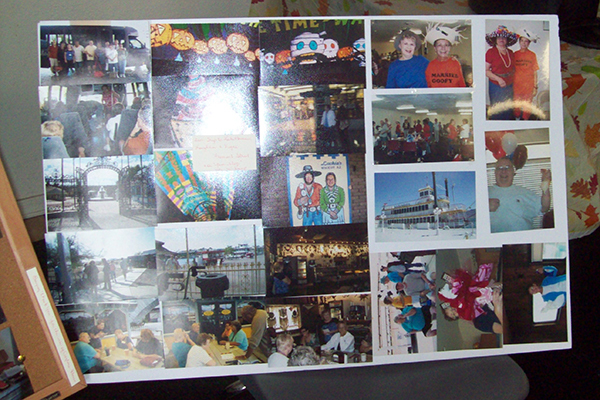 At the potluck, Copa Seniors displayed photos of some of the activities over the years. 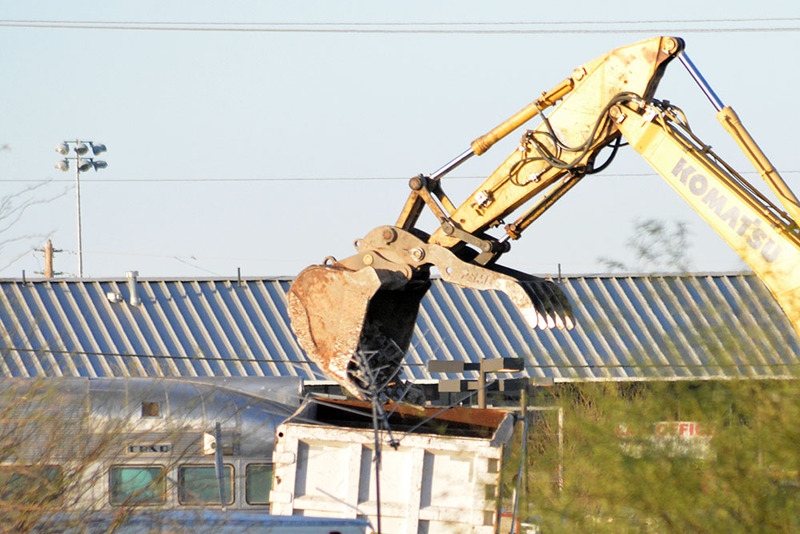 The Copa Center is being torn down to make room for the State Route 347 overpass. Senior activities are being moved to a dedicated space at Copper Sky Multigenerational Complex and Santa Cruz Elementary School. 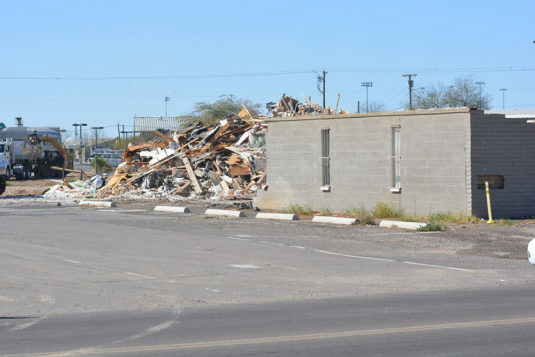 A plan to relocate senior programs displaced by the impending demolition of the Copa Center was approved by the city council Tuesday. 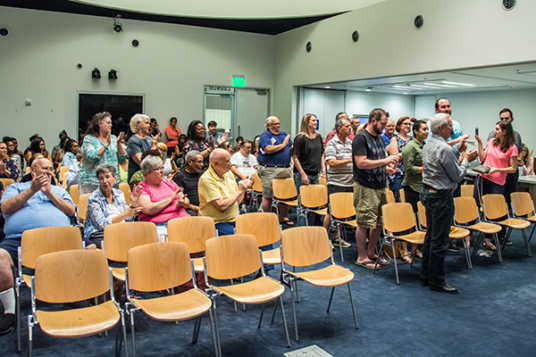 The decision to relocate the Adult Drop-in program, though unanimous, was preceded by a hearty discussion among the council members concerning a lack of exclusivity for seniors and a last-minute, unforeseen cost. Starting April 3, Copper Sky will become the new primary residence of the Adult Drop-in program. On Mondays, Wednesdays and Fridays from 7 a.m. to 3 p.m. “Room A” will be made available to the various senior groups who gather to play cards and Bingo, or to knit and sew. 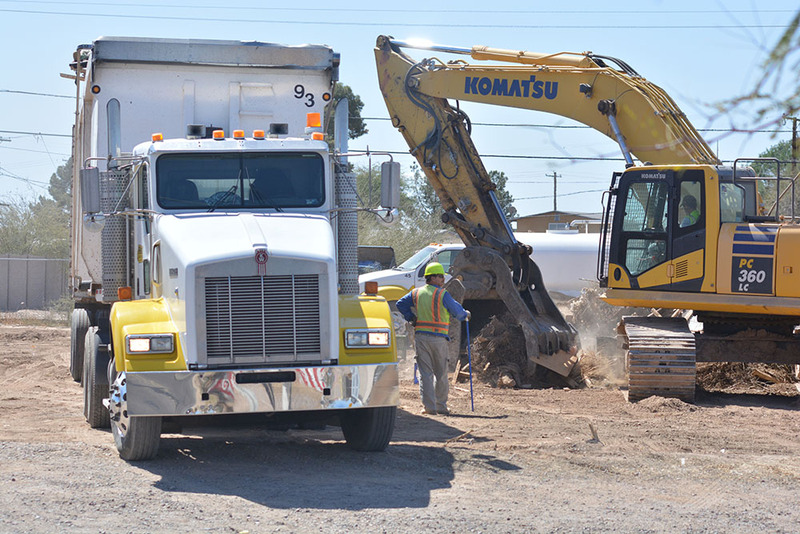 On Tuesdays and Thursdays, or in the event of a scheduling conflict within the group, the school district will allow the program the use of two unoccupied classrooms at Santa Cruz Elementary in Tortosa. 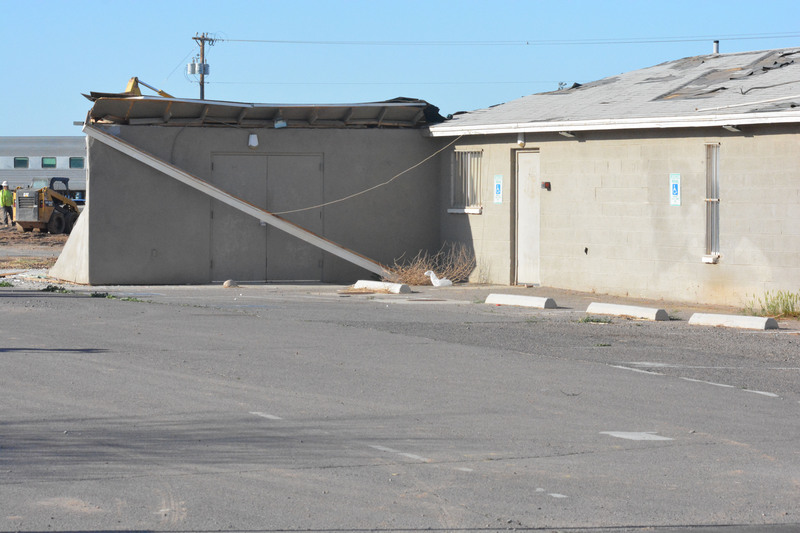 There are, however, a few strings attached to these new locations that some councilmembers felt have been overlooked. 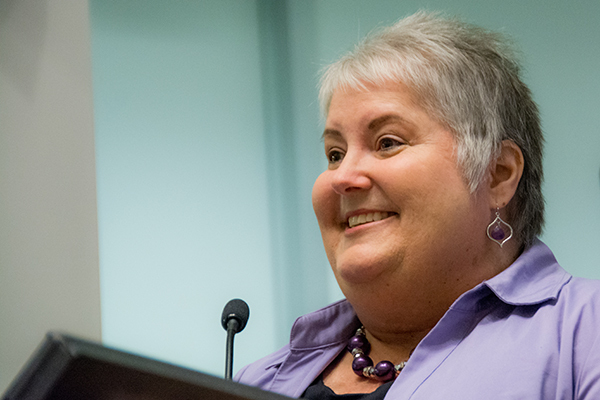 Councilmember Nancy Smith addressed the fact that at Copper Sky anyone 18 and up can use the Adult Drop-in space and possibly interrupt certain senior activities. The Adult Drop-in program, according to Mayor Christian Price, has always been open to anyone 18-years-old or older. 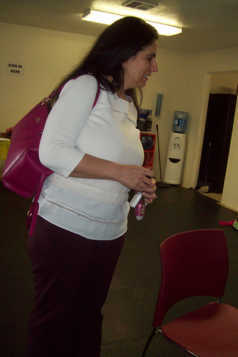 However, when located at the isolated Copa Center, senior groups that participated in the program went through a natural selection of sorts as few people under 55 went out of their way to use the facility. In a rather unorthodox move, senior members of the audience were permitted to speak outside of the “Call to the Public” to address these and other concerns raised by the council. To the age issue, Copa Seniors Coordinator Fran Warzeha said she sees the event of a young adult mingling with seniors as an opportunity, not a burden. The other major apprehension of the council concerned the second location – Santa Cruz. 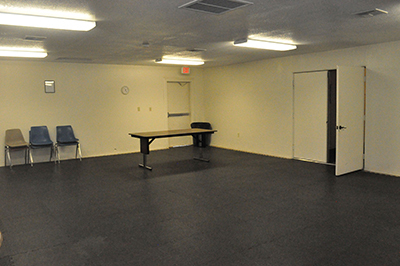 The isolated classrooms at Santa Cruz could offer the groups their desired exclusivity. 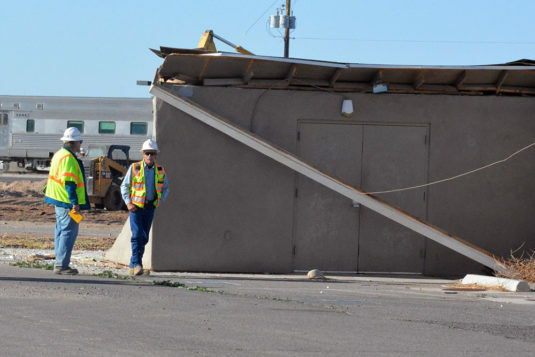 Those rooms, however, will only be available to the Adult Drop-in program once the district has completed the construction of a chain-link fence designed to separate the students from the adults. The fence is something the school district feels the city should pay for. According to Maricopa Community Services Director Kristie Riester, the district waives most facility costs as an exchange for funds granted to the city to help supply schools with school resource officers. “Because they are getting something from the grant that we applied for, they aren’t charging us those rental costs,” Riester said. 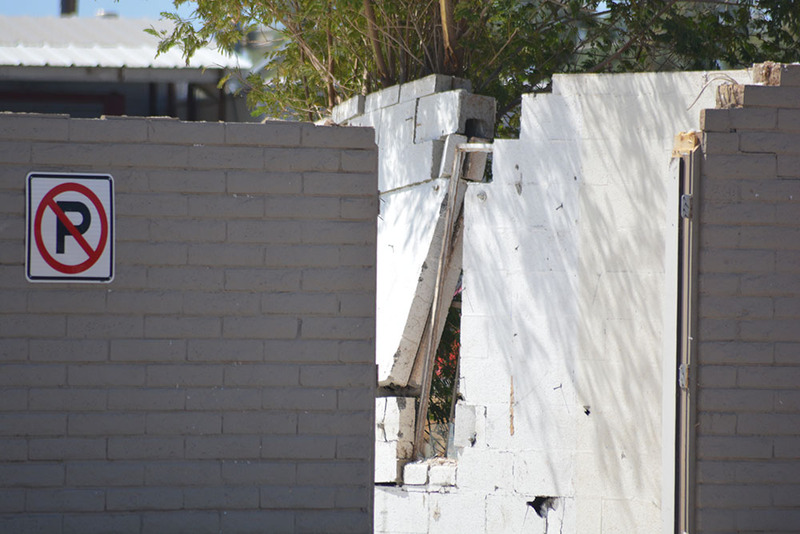 Concerns about student safety and insurance liability brought about construction of the fence, which wasn’t presented to her until recently, Riester said. After a brief discussion, council dually determined the potential cost of the modest fence to be reasonable, and the risk of younger people potentially joining the Adult Drop-in program acceptable. 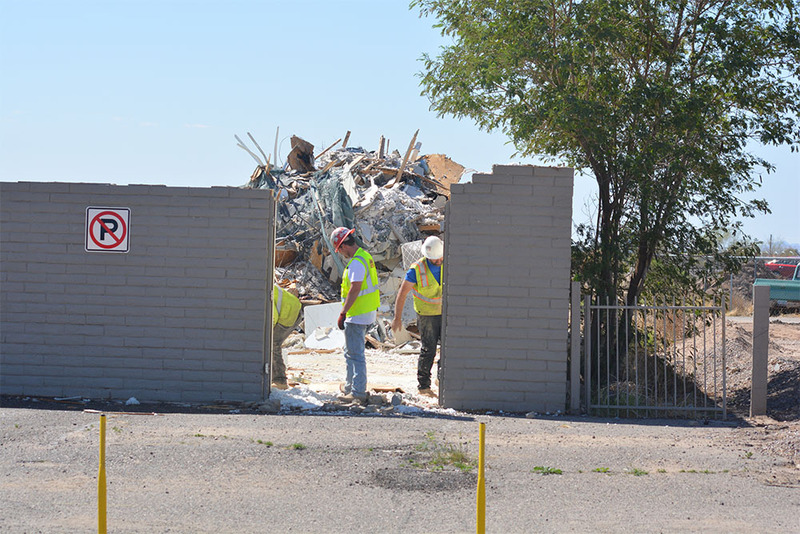 While the fence is under construction, the city will accommodate the seniors Monday through Friday, 7 a.m. to 3 p.m. When the fence is complete, senior groups will have access to multiple spaces where they can gather and socialize. Though there may not be a stringent senior exclusivity clause attached to the new locations, seniors nonetheless have found their new recreational home. Top: Maricopa Multi Cultural Consortium officers are (from left) Al Brandenburg, Bob Marsh, Ted Yocum and Joan Koczar. Photo by Raquel Hendrickson. Bottom: An example of the type of building the group would like to build. 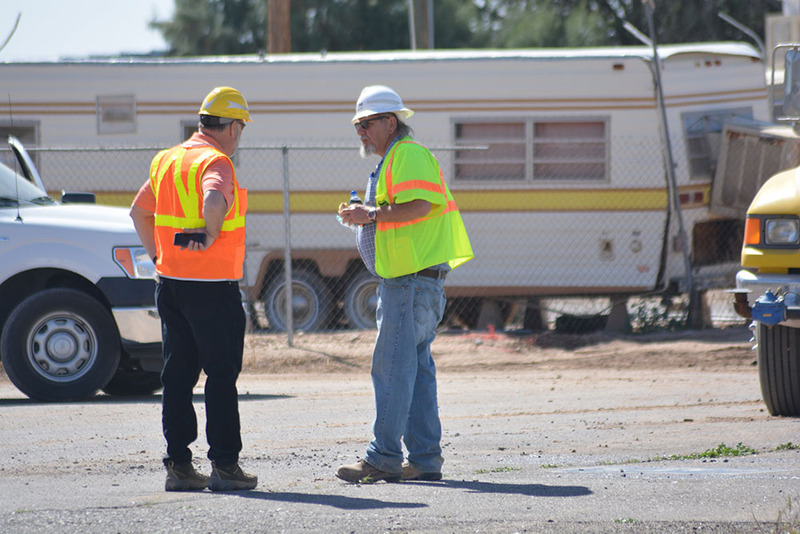 It is not always easy to find a place to meet, listen to speakers, put on a show or work on volunteer projects in Maricopa. A consistently accessible and affordable venue for community activities has been in demand for years. “I think it’s critically necessary,” retiree Ted Yocum said. He is part of a group of Maricopans who formed a nonprofit a year ago to create a community center, calling it Maricopa Multi Cultural Consortium (MMCC). What followed was a string of discussions and visits to centers in various cities to snoop out possibilities. With the pending demise of the Copa Center, which is in the path of the planned State Route 347 overpass, that conversation is louder than ever before. The initial fund-raising goal is $250,000. Yocum, who is president of the MMCC board, said they arrived at that figure after shooting down low estimates and also reconfiguring their idea of what the center should look like. MMCC started a GoFundMe account in December, but the project has complex issues. “We do have severe challenges besides funding,” said Al Brandenburg, a founding director and board treasurer of MMCC. That includes community interest, finding an entity to donate land that is not in the flood plain, hammering out a complete strategy and meeting the goals of the city’s General Plan. Brandenburg said he is least worried about finding land. 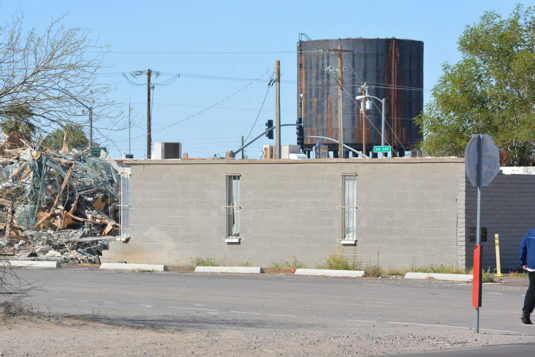 “If we get the funding for the building, it will become much easier to turn around and say, ‘OK, we need land someplace.’ And somebody needs to donate it, whether it be the city or whether it be some of the businesses,” he said. The plan is to start with one building as Phase 1. When funding comes in, two more wings or buildings could be added. Those would comprise a rehearsal/performance space and an exhibit space. “We like to consider ourselves infrastructure,” said Bob Marsh, who is also an MMCC officer. He said the community center could fit in well with the new General Plan’s 2040 Vision in which neighborhoods are created as villages with a meeting venue at the center. Most of the MMCC directors are also volunteer members of city boards and advisory committees and know the inner workings of the city budget. Yocum said he sympathizes with the city and its budget decisions. He said MMCC does not intend to compete with the city or any other entity. The limits of existing city venues like Copper Sky and City Hall spurred the move to get residents and businesses in the driver’s seat for a community center. “This would be primarily for the things that other venues are incapable of being able to carry on,” Brandenburg said. 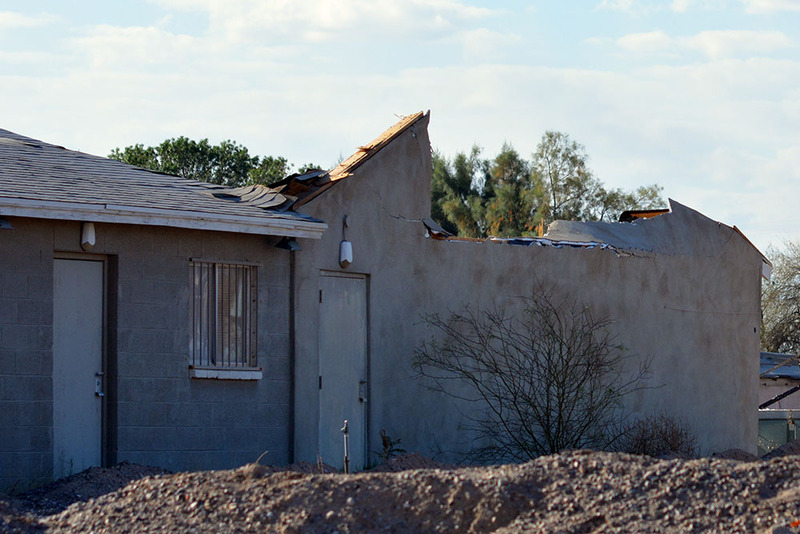 Though the concept for the community center was inspired by the lack of a senior center in Maricopa, Brandenburg said it was essential to broaden the mission. The vision is then to turn the center over to the city. This Consortium shall strive to provide a multi use venue to hold meetings, events, seminars, presentations, public addresses, and other similar activities consistent with the vision and direction of the Consortium, as well as to establish and maintain a site for conferences and meeting rooms, on land leased, owned or otherwise controlled by this Consortium. 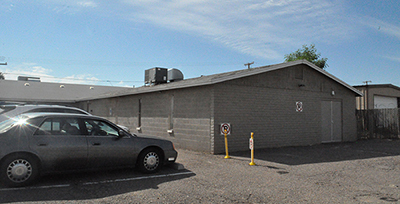 The city of Maricopa does not have a senior center. 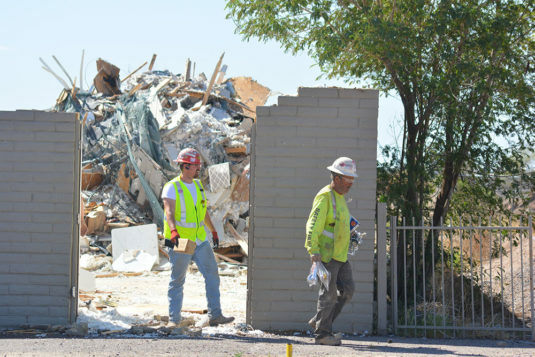 The building many think of as a senior center may be demolished before the decade is out. 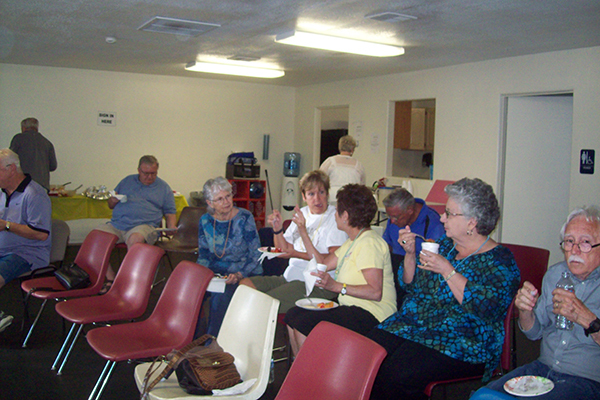 Maricopa does have an organization of senior citizens who like to socialize, plan events and help one another. When they do so, those gatherings are frequently in the Copa Center. “It’s never been designated as a senior center, but a high number of seniors use it,” City Manager Gregory Rose said. The Copa Center, a former church on Honeycutt Road, is at least partially in the probable path of the pending highway overpass. “The seniors are extremely concerned that they have no place to go once it goes away,” said Joan Koczor, who serves on the Age-Friendly Maricopa Advisory Committee to the city council. The future of the building is “unknown,” Rose said. 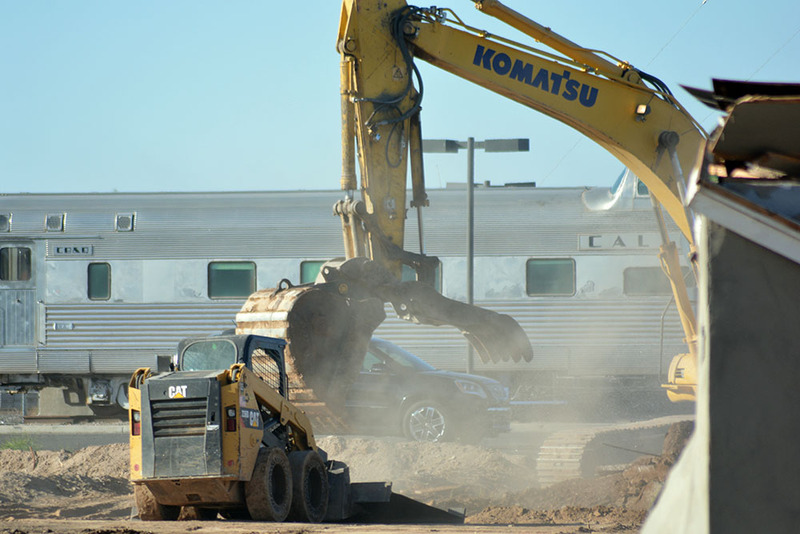 The grade separation project on State Route 347 at the Union Pacific Railroad tracks is in the design stage. When that might happen is also unknown. “We’ve been told three to five years,” said Lynn Bernier, vice president of Maricopa Seniors, Inc., a nonprofit that offers programs to those age 55-plus and hosts Bingo in the Villages clubhouse. She said seniors have been searching for a place of their own for years. 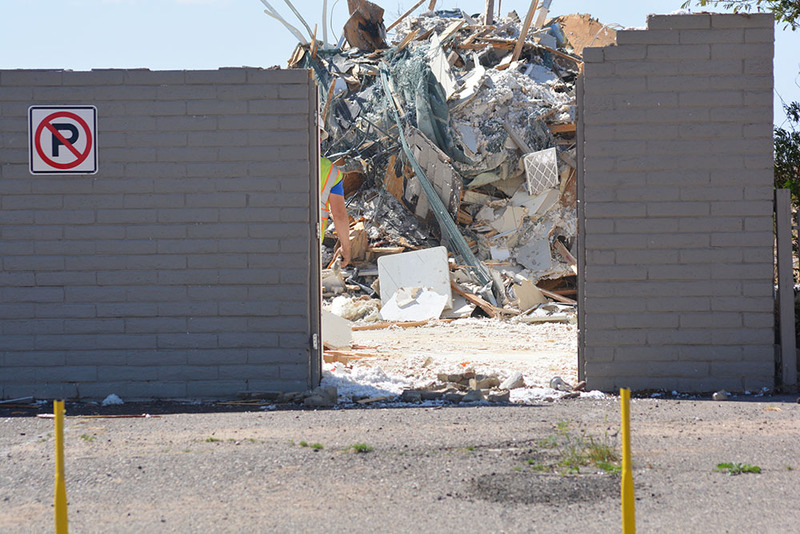 They initially tried for the former library, but it is now home to the Maricopa Veterans Center. They moved to the now-former Anytime Fitness space for a time. They obtained use of the Copa Center in 2008. 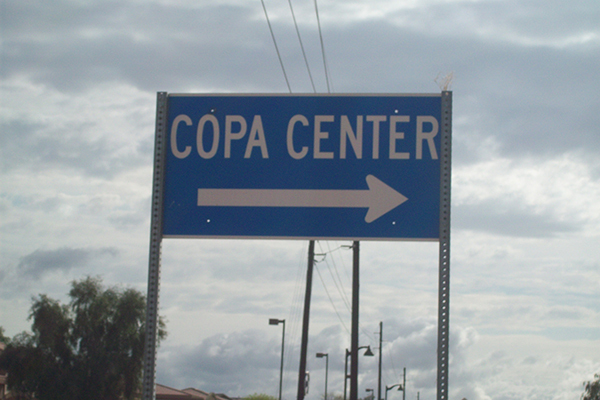 The city bought the Copa Center as a community center in 2009 for $170,000. 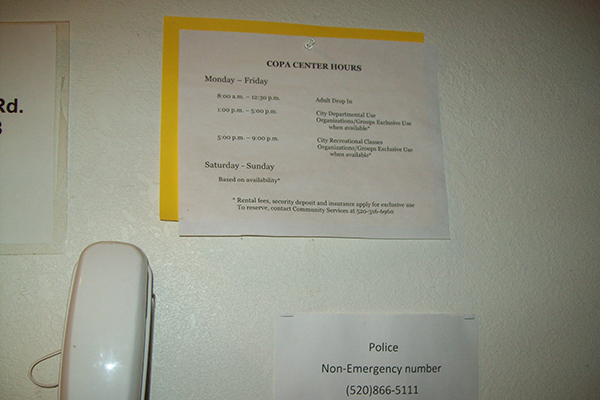 The Community Services Department schedules the use of the building. The hourly fee is $30 with the exception of nonprofit organizations, which pay $20, and senior citizen groups, which pay $10. Seniors also cajoled the city to expand its adult drop-in schedule from four hours to eight hours. Whether the Copa Center stays or falls is a separate issue from the quest for a senior center, Rose said. He said the Age-Friendly Committee has been exploring options. That has included tours of senior centers in other communities and discussions of funding mechanisms. They are also looking for ways to obtain a privately funded senior center. 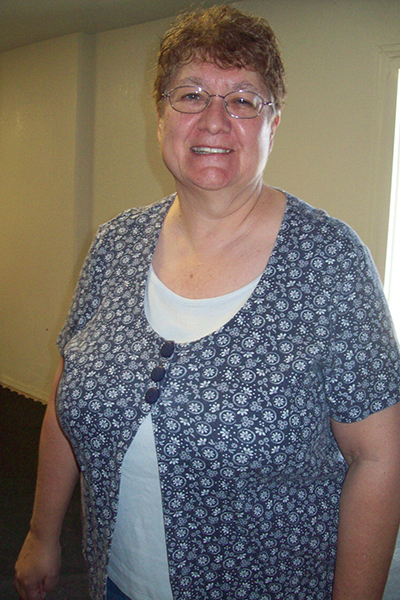 City Councilmember Peg Chapados is president of Maricopa Seniors, Inc. and is liaison along with Nancy Smith from the council to the Age-Friendly Committee. She said the search for options for a senior center has included discussion of purchasing or leasing a building or purchasing or leasing land. It is not a city project. But senior leaders know a building with a proper staff could well be out of reach. “I don’t think we’ll have a senior center,” Bernier said. Bernier said there is a misconception among some city leaders and officials about the senior population in Maricopa. “We don’t all live in Province, and we don’t all want to live in Province,” she said. Koczor said the new mindset for seniors is to stay in their homes and be independent as long as possible. They will have changing needs as they age, and that affects the community. They do not believe they are asking for much – just an affordable space for socializing, educating, playing cards and board games and hosting events, preferably with a working kitchen. Knowing the days of the Copa Center are probably numbered, Koczor said the senior population of Maricopa is neglected. She said many felt they were misled when they were approached to support the Copper Sky complex. They were told, she said, two multipurpose rooms and a kitchen would be dedicated to the use of senior citizens. With a change in city personnel, by the time Copper Sky opened that was no longer the case. Whether the city reneged is up to interpretation. 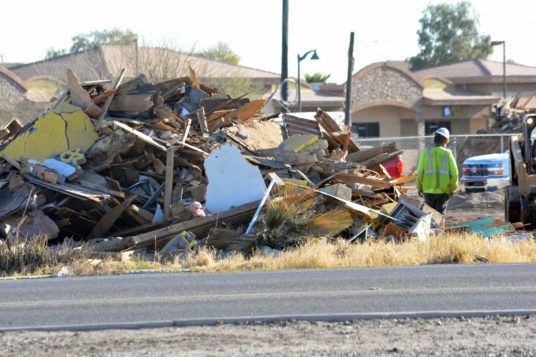 “Like any Realtor, you want to make a sale, and some things may have been said that were misinterpreted or misunderstood,” Chapados said. “Those opportunities exist, but there is a fee to do those things, just like for everybody else. “Seniors can’t afford those fees,” Koczor said. The idea they volunteer at Copper Sky to earn $10 toward the fee did not go over well, either. The programs the seniors enjoy at the Copa Center are not reliant on the building. 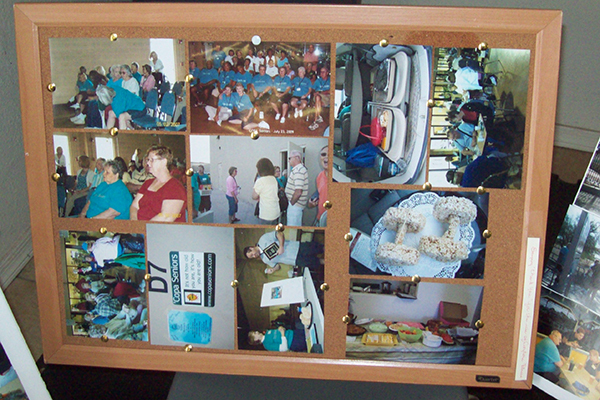 Chapados has been involved with Maricopa Seniors, Inc., since it was founded in 2009. 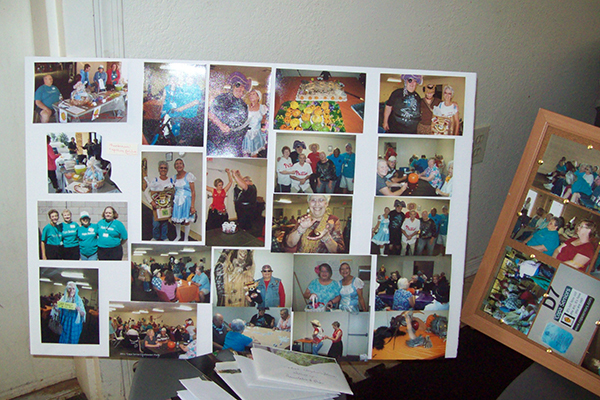 The nonprofit is not about a senior center or membership but about senior programs. Its funding primarily comes from fund-raisers. It supplies 911 Guardian Alert Pendants, which can be programmed to work even away from home, and home key lock boxes that give the Maricopa Fire Department (and only MFD) access to the home. 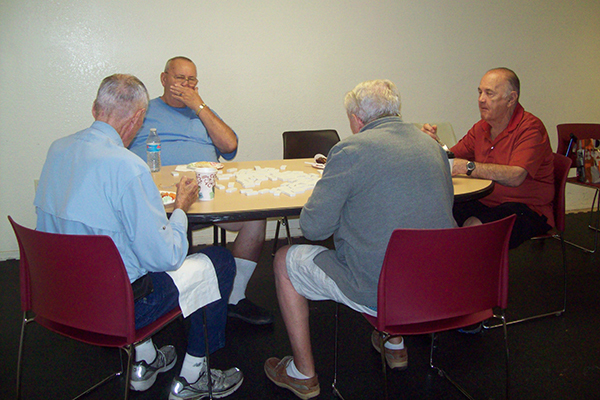 Its Bingo nights give the seniors a fun and affordable way to get together, Chapados said. The Copa Center is not the city’s senior center, but senior groups use it frequently. Lacking a building, senior leaders have turned attention to acquiring more programs and resources. 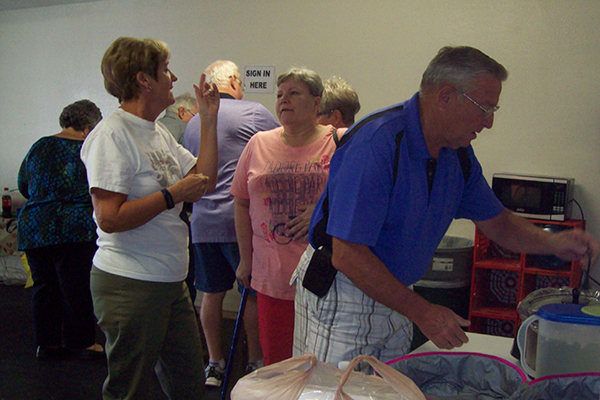 Koczor said the most helpful has been the Pinal-Gila Council for Senior Citizens, based in Casa Grande. 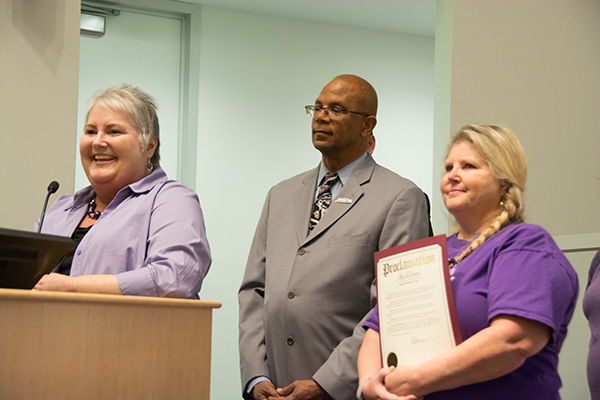 The PGCSC provides direction to answers on health, housing, legal issues, support groups and much more. 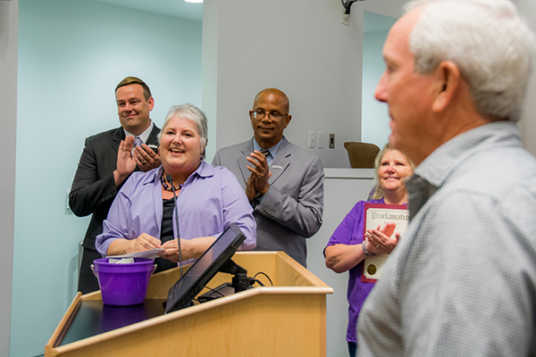 The creation of the Age-Friendly Committee and the fact Chapados is president of Maricopa Seniors, Inc., are both seen as positives in the seniors’ fight to be noticed in Maricopa. 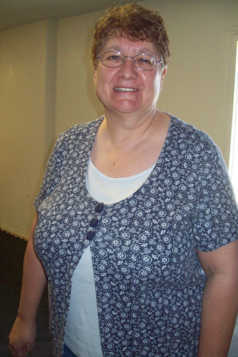 “At least we have the ear of the council,” said Delphene Armstrong, who is also on the committee.